I hope you’ve been enjoying the “Bloom of the Week” posts. These fresh and colourful blossoms give me hope that spring really is right around the corner (even in Calgary). Just in time for Easter, Janelle from Flowers by Janie is back with part 3. This week she tell us about one of my personal favourites, the Anemone. Anemones belong to the ranunculaceae family and are a close relative to the ranunculus. The anemone has many ties to ancient Greek mythology. In Greek the word Anemone means “daughter of the wind” or “windflower”. It was believed in ancient Greece that the god of the west wind Zephyrus enjoyed this bloom more than any other which is where the name “windflower” comes from. In Greek mythology, the flower grew from the tears shed by Aphrodite, goddess of love and lust, as she mourned the death of her lover, a beautiful mortal named Adonis. In the language of flowers the anemone can symbolize anticipation. The flowers are available in red, magenta, blue/purple and white. The white “Panda” anemone with its black center and white petals is a favorite among brides as well as the deep blue/purple variety. 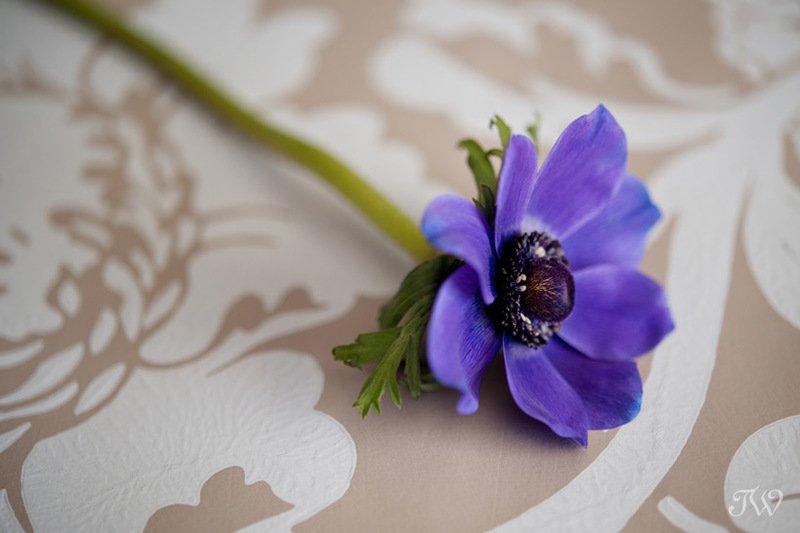 Anemones don’t carry a scent but are enjoyed for their vibrant colors and beauty. 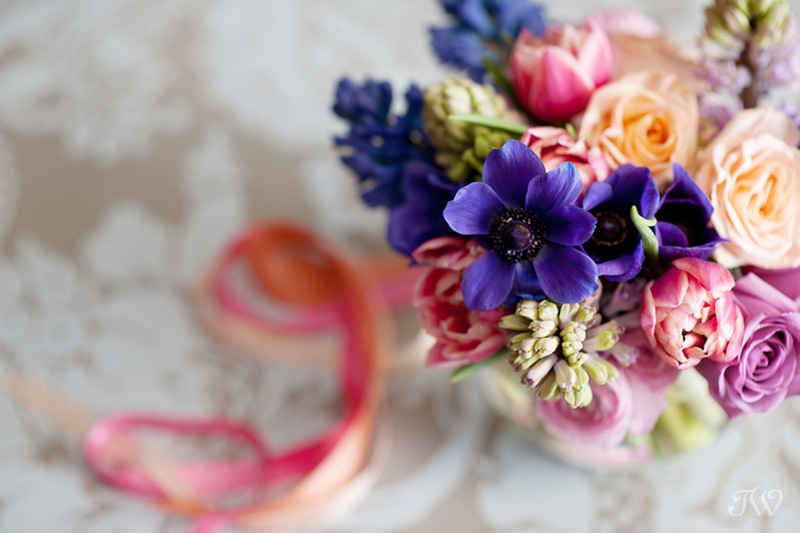 They are available as a cut flower in winter and spring and look striking in spring wedding and event floral design. Here are some of the other spring blooms we’ve featured, if you’d like to see.